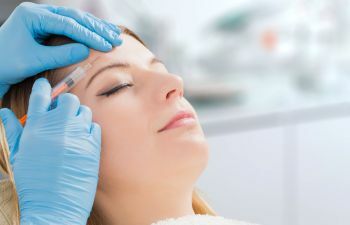 The traditional method of going “under the knife” for a youthful look is being rapidly overshadowed by the growing popularity of non-invasive cosmetic techniques. For example, JuvedermⓇ is a facial filler that more clients are opting for over surgery to achieve a facelift-like look. A facial filler is applied by a trained doctor, who injects a serum just beneath the skin to smooth out wrinkles and plump up weak areas. Which route is right for you? Here are a few things to keep in mind. The younger you are, the less likely you are to want to opt for surgery. Make the most of your body’s youthful tissues and stick with conservative treatments like injectable fillers. Surgery is a more probable option as you age, since the effects of topical treatments and fillers are usually more mild than dramatic. Do you want a fast fix with minimal downtime for recovery? Fillers are the quicker option. You’re more likely to have a quick outpatient procedure with minimal side-effects. Fillers and surgery can be pretty comparable in terms of cost overall. A surgery is a bigger one-time investment, but fillers are not as permanent and so they require touch-ups to maintain their effect. Which cosmetic treatment you should get depends on what your skin needs. A few wrinkles is one thing, but a lot of sagging skin is another. Fillers can only achieve so much good! You may need to consider something like an eyelid lift if you have droopy lids. Is an eye or facelift right for you? What are your dermal filler options here in Beverly Hills? Find out more by contacting Kami Parsa, MD for a consultation.